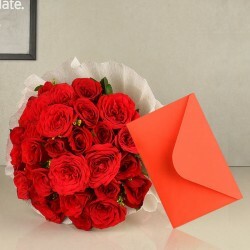 Roses are said to be the best gifts when you are looking to express your love to a special someone. 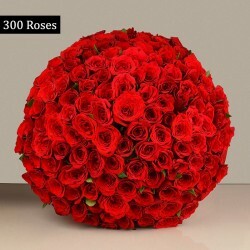 With our stunning range of vibrant roses, you get to choose from classic red roses bouquet, an arrangement of assorted roses, a luxury box of roses, and so much more. Order now and make it count. 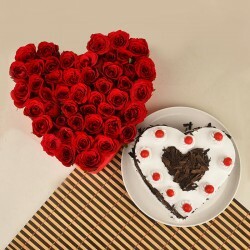 Valentine Day is a universally celebrated day for love. You be in any part of the world, you will definitely feel love in the air. Celebrate this festival of love with same enthusiasm as you celebrate any other festival. Let your beloved know his or her value in your life. 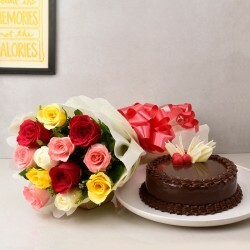 MyFlowerTree has made all arrangements to make this year a memorable one with its collection of flowers, cakes and bulk of gifts to surprise your loved one. Flowers being a traditional trademark of Valentine's Day will never fail to impress her. You can see a blossoming smile on her charming face with those fresh blossoms in her hands. 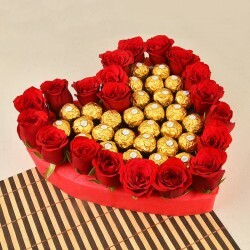 Who says only red roses can convey your love. 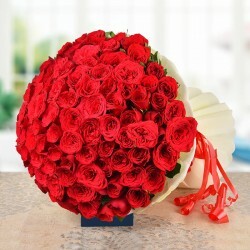 MFT has a bucket full of colorful roses to choose from. 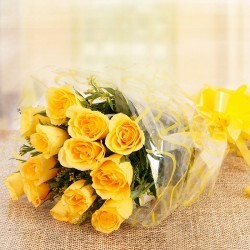 Efficient staff of MFT has put these fresh, natural and blossoming roses in the best floral arrangements. 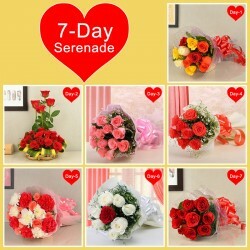 You can have a big heart of roses, 1000 roses, a solitaire bouquet, and simply pink or yellow blossoms. The list goes on and on. Gone are the days of roaming the streets to get her a radiating bouquet. 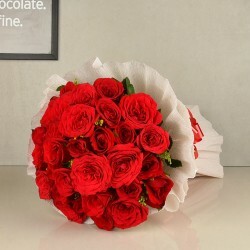 You just need to tell us your wishes; we will make sure that your love is expressed in a unique manner on the eve of Valentine Day this year. Flowers look splendid only if they are fresh. 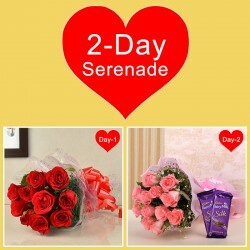 That is why we deliver to her doorstep freshness of your love with fresh roses only. 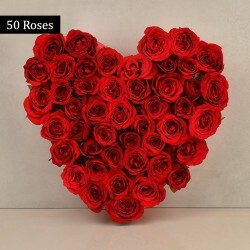 Get away with the worry of exorbitant price of roses on Valentine Day as we have a magnificent collection at the most pocket friendly prices. Placing an order is also an easy affair with MFT as we have a user friendly website with broad categories of everything we offer. Products in this category have been rated 4.5 out of 5 based on 118 reviews.